Item Description This Trio must be the 'Addendum' that Skinner refers to in JSS0190. He writes: Trio to be added to "The Blooms of Bon Accord":- Intermezzo. Skinner has not finished his arrangement - the last line in unharmonized. 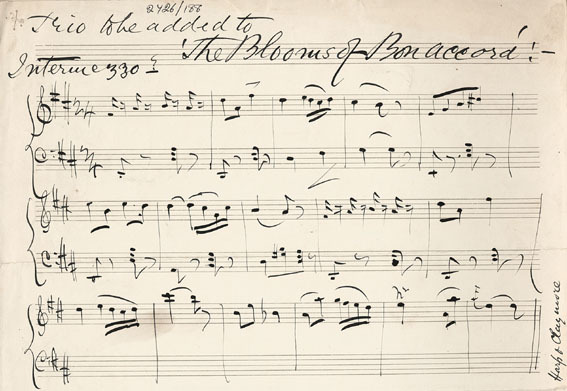 In the right margin is 'Harp & Claymore' which indicates that Skinner intended 'The Blooms of Bon Accord' to be included in the collection.